The video shows her swimming up to the shark, grabbing it and putting it back into the ocean. An Australian real estate agent has been dubbed shark wrangler on Facebook after a video shows her dealing with a shark in the most no-big-deal-way ever. When most people notice a shark swimming in the pool they're in, their instinct would be to get the hell away from it. That doesn't seem to hold true for Melissa Hatheier. Her video of casually transferring a shark from a pool back into the ocean has left people thoroughly impressed. 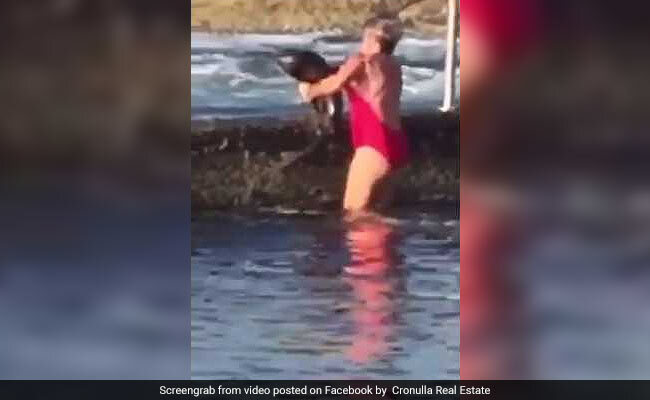 Posted on the Cronulla Real Estate Facebook page, the video shows Ms Hatheier swimming up to the shark, grabbing it and putting it back where it belongs, the ocean. Her video, since being posted on October 10, has collected over 1.3 lakh views, some 1,200 reactions and more than 1,000 shares. And while people find her deed impressive, Ms Hatheier finds all the attention surprising. "I was just trying to catch a little shark," she told The Leader. 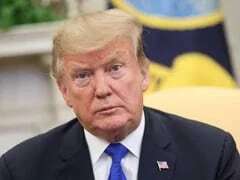 "If it had big teeth I wouldn't have done it." "This is hands down the most Australian thing I have ever seen, holy mackerel," says one Facebook user on the video. "All in a day's work for a local real estate agent!" says another. "My worst fear has come true! A shark in the oak park pool! On another note, this chick is a dead set legend," says one commenter on the video. "I would have walked on water to get out of the pool. You're a brave women," says another.